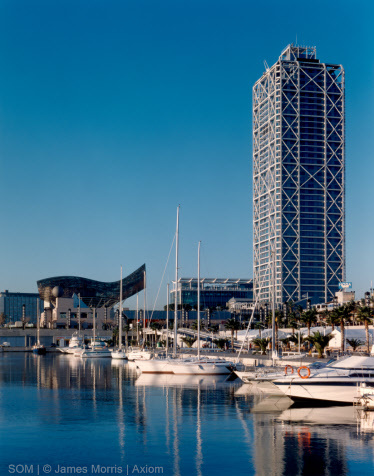 This 41-story waterfront apartment and hotel tower adjacent to the Olympic Port was completed for the 1992 Olympics held in Barcelona. 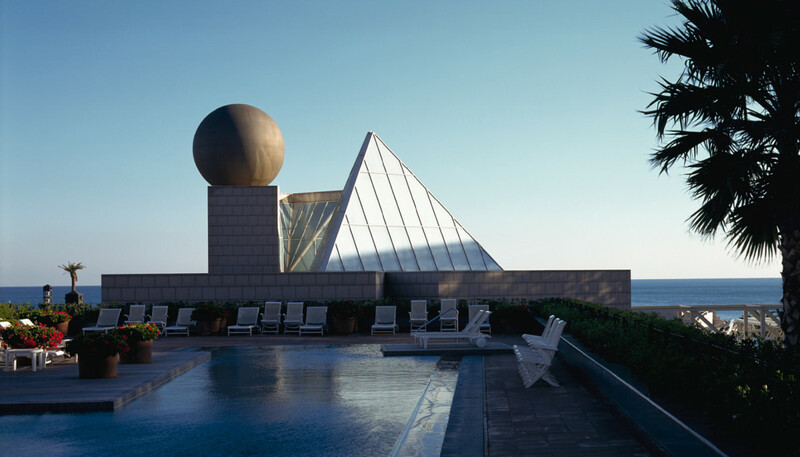 33 floors of the tower are dedicated to the Ritz-Carlton Hotel, while the upper eight floors are luxury apartments. The five-star hotel includes restaurants, nightclubs, retail stores, a health club and meeting rooms.